Welcome to another Freshly Brewed Projects from the Latte Girls. 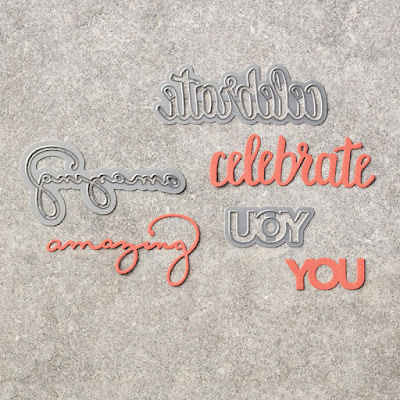 This week we are showcasing the Sale-A-Bration goodies - Amazing You and Celebrate You. 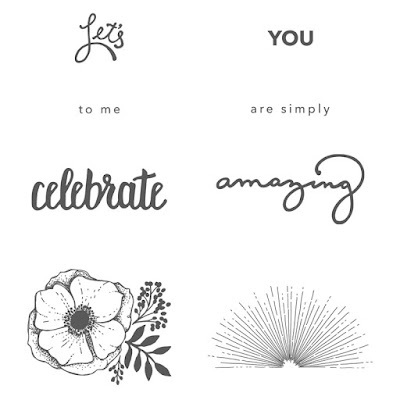 If you haven't seen these items yet, Amazing You is a wonderful stamp set that you can get for FREE with a $90 order. The other product from Sale-A-Bration we are highlighting is the Celebrate You thinlits. These are FREE with an order of $180 or more. They were designed to work together and they do that magnificently. There are so many possibilities when you use these two products. I had a lot of ideas running through my head, and in the end I settled for this one. 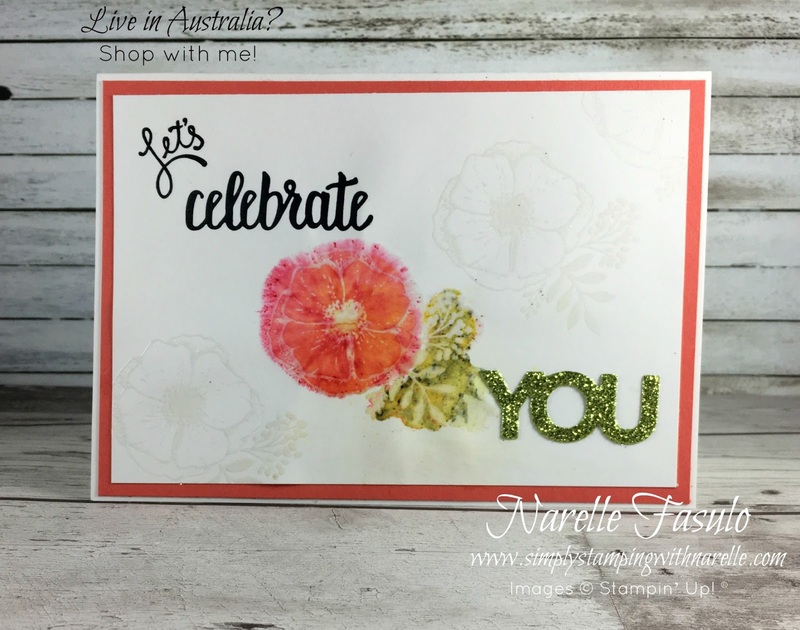 I used the gorgeous flower image in the centre of this card and heat embossed with white embossing powder. I then used another new product, Brusho Crystal Colour, over the embossed flower. This was my first play with Brusho and I know it won't be my last. Watch for another post soon using this amazing new product. 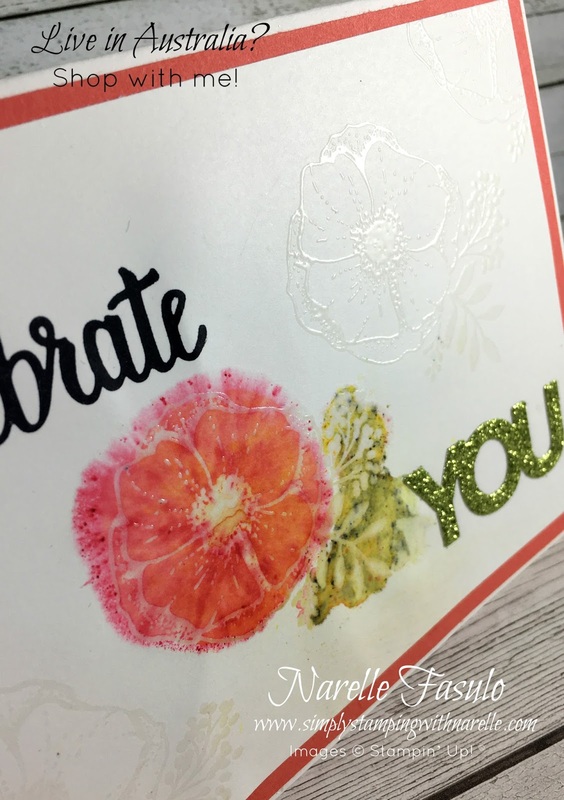 I also stamped and heat embossed more flowers on the front of the card. They are a bit hard to see in the photo above, so here is another shot at a different angle. I hope you have enjoyed my project and it has given you some inspiration. Now it's time to check out what the other Latte girls have been up to. 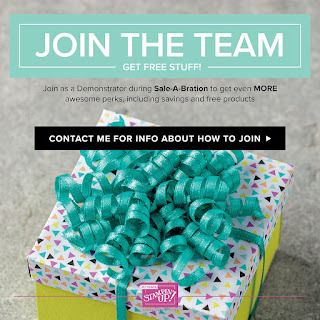 If you want to get yourself some FREE items, then simply place an order in my online store. For every $90 you spend in one order, you can choose a Level 1 item. If you spend $180 in one order, you can choose a Level 2 item, or two Level 1 items. The choice is yours. Just click on the image below to go to my online store.